A little over one year ago, I was asked to create the first strategic plan for the South Metropolitan Higher Education Consortium to identify strengths, define goals, and implement strategies for advancement. What I learned through this process is our Consortium is comprised of some of the most passionate and intelligent individuals I have had the privilege to work with. In October, I met with a group of 16 representatives representing the majority of our members and committees to begin the strategic planning process. During this meeting, we worked together to categorize the Consortium’ strengths and identify goals to advance SMHEC. As a result of this session, four goals and 16 objectives were created and reviewed by the SMHEC Presidents’ Council. In March, a second group met to finalize the goals and objectives, based on the Presidents’ Council review and suggestions. The group was also tasked with creating action items to help us achieve our strategic goals. 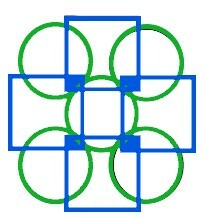 The resulting document was approved by the Presidents’ Council in March. Over the next several months, as I meet with each committee, I will ask you each to work with me through a committee goal setting process to ensure we are meeting the strategic priorities set forth in our plan. Please view the 2019-2022 SMHEC Strategic Plan by clicking the button below. 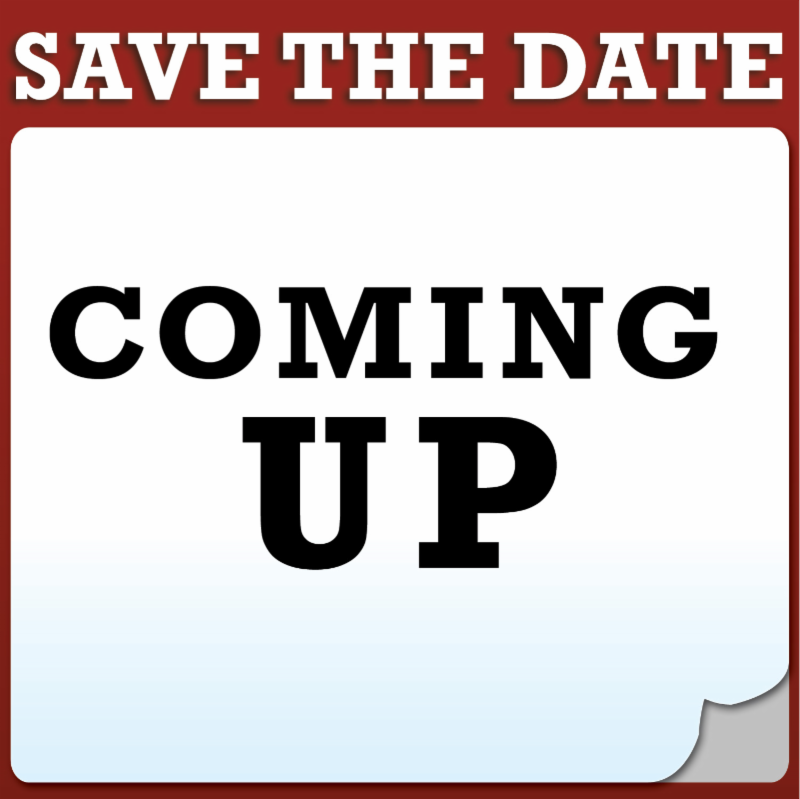 I hope you enjoy reading this edition of SMHEC’s Electronic Newsletter and I look forward to seeing many of you at our upcoming committee meetings and special events. 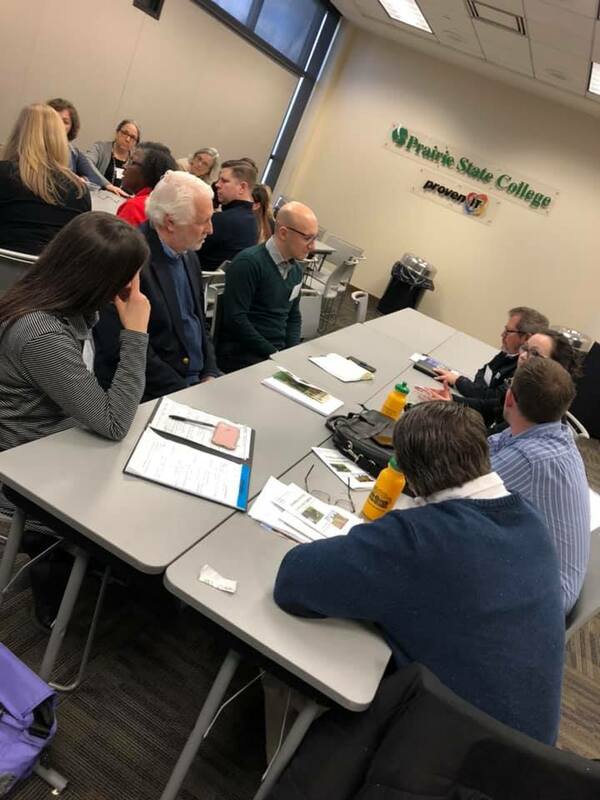 On Friday, February 8, the South Metropolitan Higher Education Consortium (SMHEC) presented Growing Sustainable Communities Together - a regional sustainability conference hosted by SMHEC Member Institution, Prairie State College. 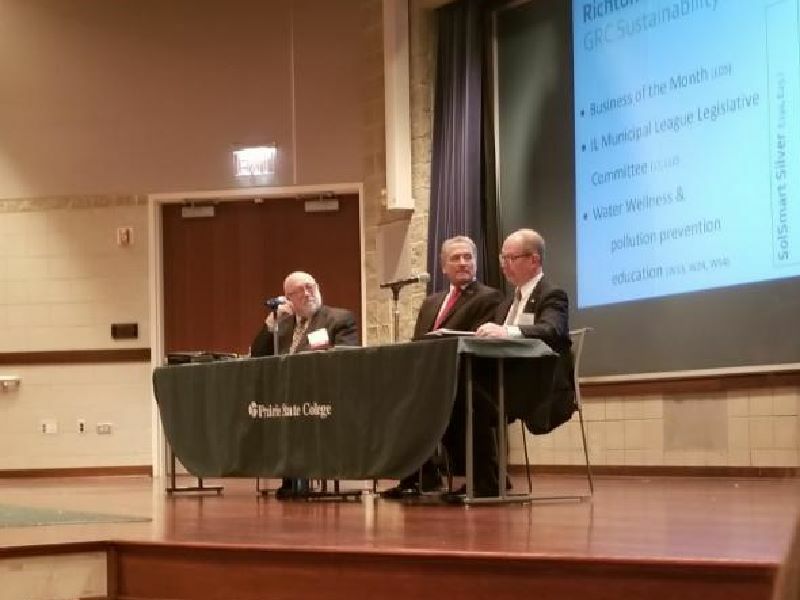 Following her keynote presentation, Ms. Makra facilitated a panel of local Mayors, including Mayor John Ostenburg of Park Forest, Mayor Paul Braun of Flossmoor and Mayor Rick Reinbold of Richton Park as they shared their community success stories as a result of adopting the GRC. The day continued with breakout sessions on a variety of topics that fit within the GRC framework, including The Native Landscape, Building the Case for Sustainability: Zoning, Policy and the Built Environment, Urban Agriculture in the South Suburbs and Funding Opportunities. 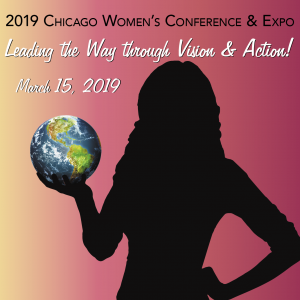 The conference featured speakers from organizations such as Cook County, Chicago Metropolitan Agency for Planning, Forest Preserve District of Will County, F.U.T.U.R.E. 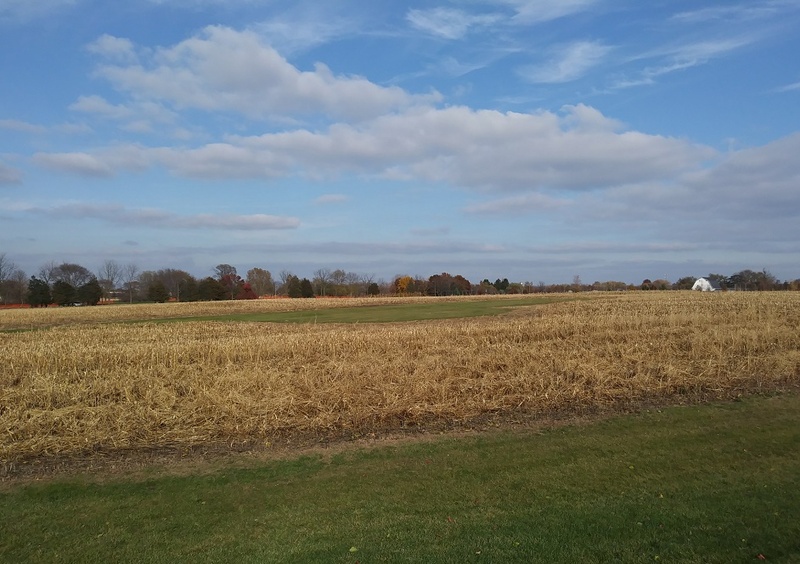 Foundation, Homewood-Flossmoor Park District, Metropolitan Planning Council, Morton Arboretum, Oak Lawn Park District, Prairie State College, University of Illinois Extension and 360 Energy Group. compostable plates and cutlery to make the event more sustainable. The afternoon craft beer hour was sponsored by Vice District. 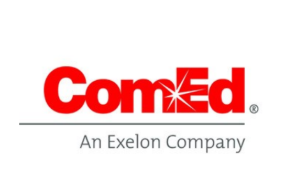 Additional sponsors were ComEd, Midwest Energy Efficiency Alliance, Nania Energy, Village of Park Forest, and Wight and Co.
For more information about SMHEC or Link and Leverage, please contact Allessandra Kummelehne at akummelehne@prairiestate.edu . SMHEC's Chief Academic Officers Council is comprised of the Provosts and Vice Presidents of Academic Affairs at each of our Member Istitutions. This group establishes and guides all of our academic-related activities. Those efforts include Writing Across the Institutions , College and Career Readiness , Healthcare Initiatives , Regional Faculty Development and work with the National Student Clearinghouse. 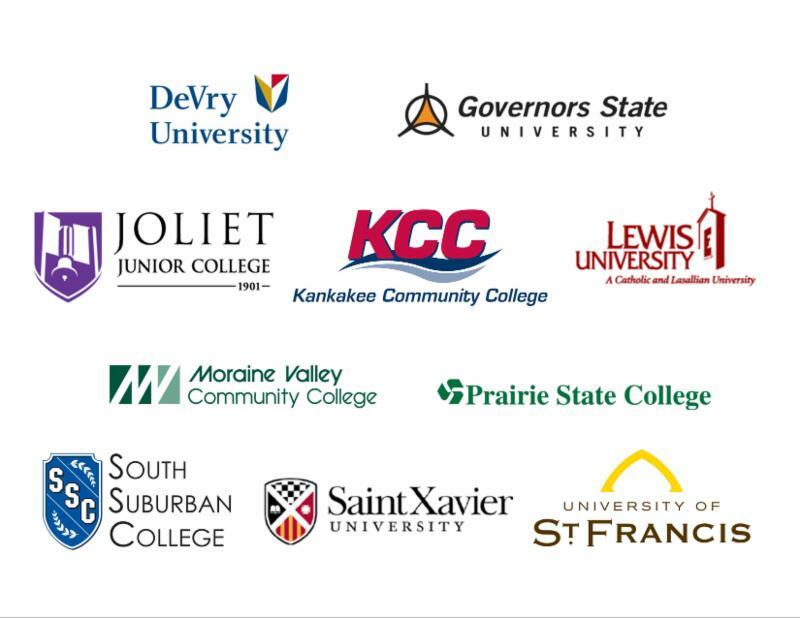 In this issue of SMHEC Today!, M arta Borys, SHMEC Administrative Assistant, interviewed Dr. Marie Hansel, Vice President of Academic Affairs at Prairie State College and Dr. Frank Pascoe, Provost at the University of St. Francis. The focus of the interview was to learn how belonging to SMHEC positively influences their position within their institution . 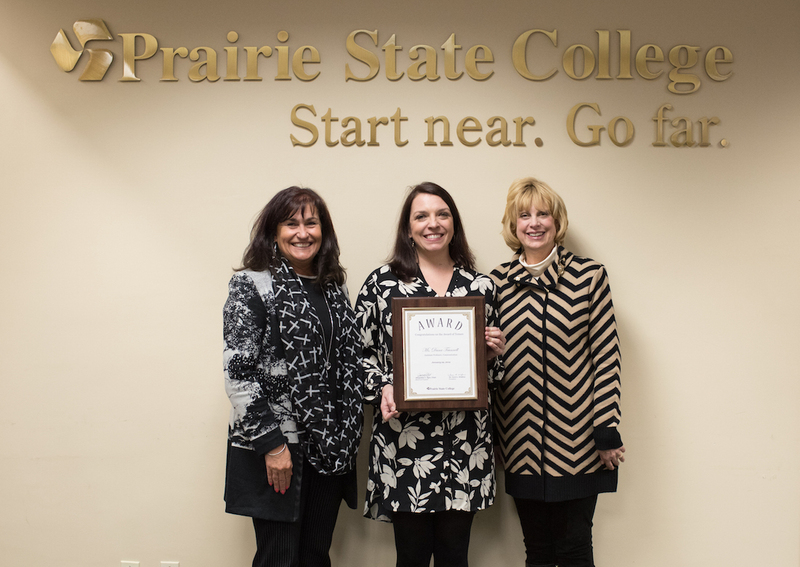 Dr. Marie Hansel started working for Prairie State College (PSC) in 2005 teaching Nursing. 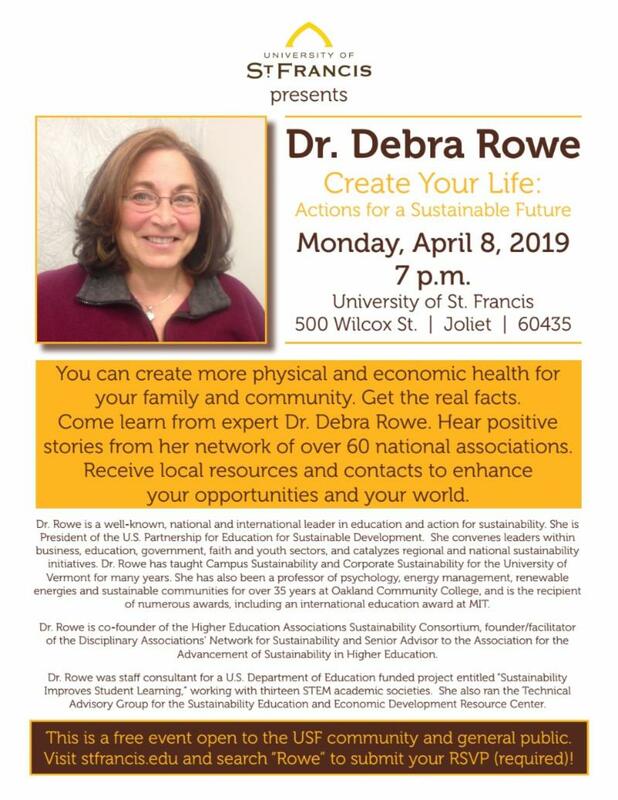 In 2010 she became Dean of Industrial Technology, and in 2014 she took her current position as Vice President of Academic Affairs and Dean of Faculty. When asked about advantages that belonging to SMHEC brings, she stated that when she first joined the Chief Academic Officers Council, it became a support group to her and to many other Vice Presidents who were also new in their jobs at the time. Belonging to SMHEC gives Dr. Hansel direct access to sharing ideas with colleagues from private institutions, 4-year universities and other community colleges; gives her a new perspective in her every day activities; it enriches her view of the community, student body and faculty and it helps her in finding and developing new talent. The Faculty Development Conferences, for example, are a great source of exchanging ideas on curriculum, programs, and implementations of improvements. Dr. Hansel sees SMHEC's role as a catalyst in putting people and institutions together, crossing barriers, whether social, financial, or geographical. 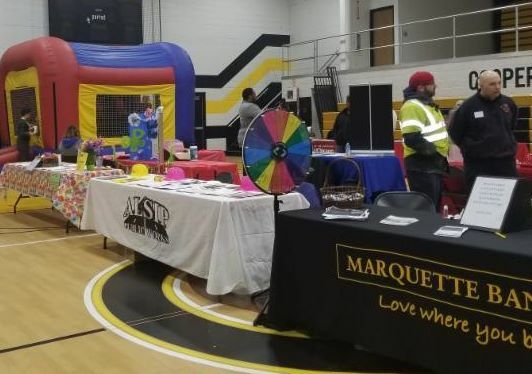 She says that as the enrollment drops, competing for students is one of the main challenges colleges face today, so working to regionalize resources is a great solution to this issue. 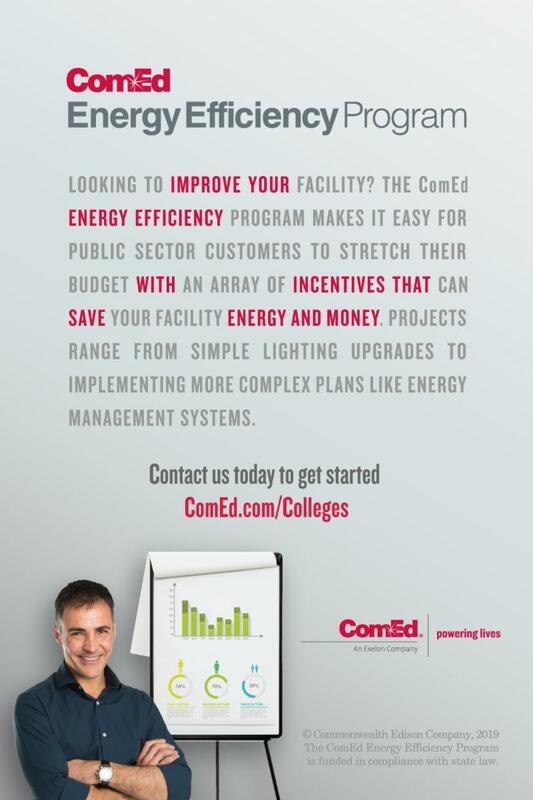 Funding and maintaining science labs, clinicals or nursing faculty, for example, are among issues all institutions struggle with, so coming together and sharing these resource is a way to help each other. SMHEC creates the kind of regionalized platform, Dr. Hansel believes, to share and exchange ideas with people who face similar challenges. It gives her new opportunities to connect, socialize, and discuss problems with people who learn from each other. 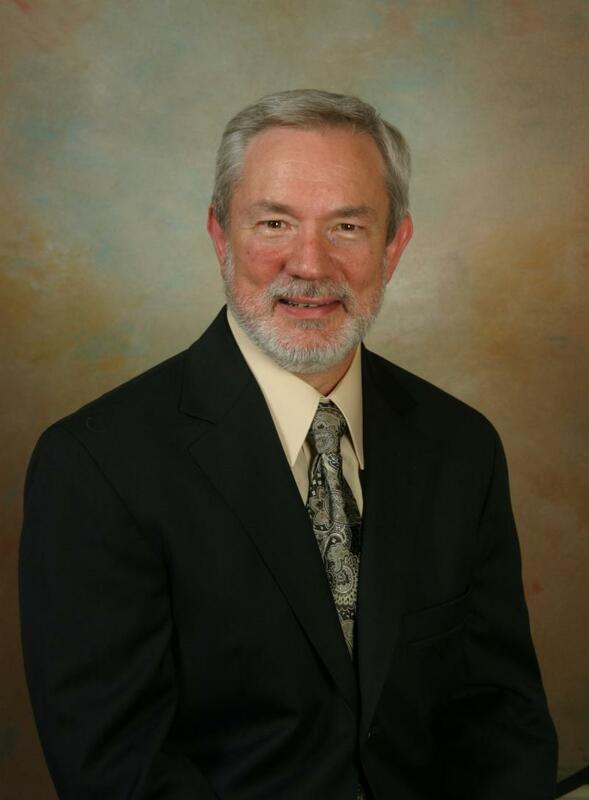 Dr. Frank Pascoe has been the Provost and Vice President of Academic Affairs, as well as CAO Member of SMHEC, for the past 11 years. When asked about the biggest challenges that his position faces, he emphasizes the quality of education, but especially how the quality of education is being affected by limited financial resources that pretty much every educational institution struggles with today. 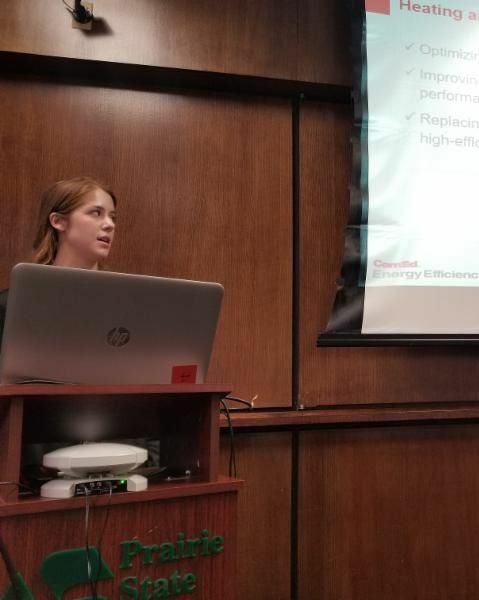 Dr. Pascoe says that one of the main benefits of belonging to SMHEC is the way we find ways to share resources, negotiate lower rates, reduce expenses, and help each other find solutions. He gives example of Sustainability Committee as a showcase of how institutions can work together without feeling competitive. Belonging to SMHEC makes him aware of the broader higher education community and the issues they face. In fact, he adds, it makes him feel better to hear that other institutions struggle with the same problems so he is not the only one. SMHEC meetings give him a chance to share ideas, help find innovations and solutions to common problems. 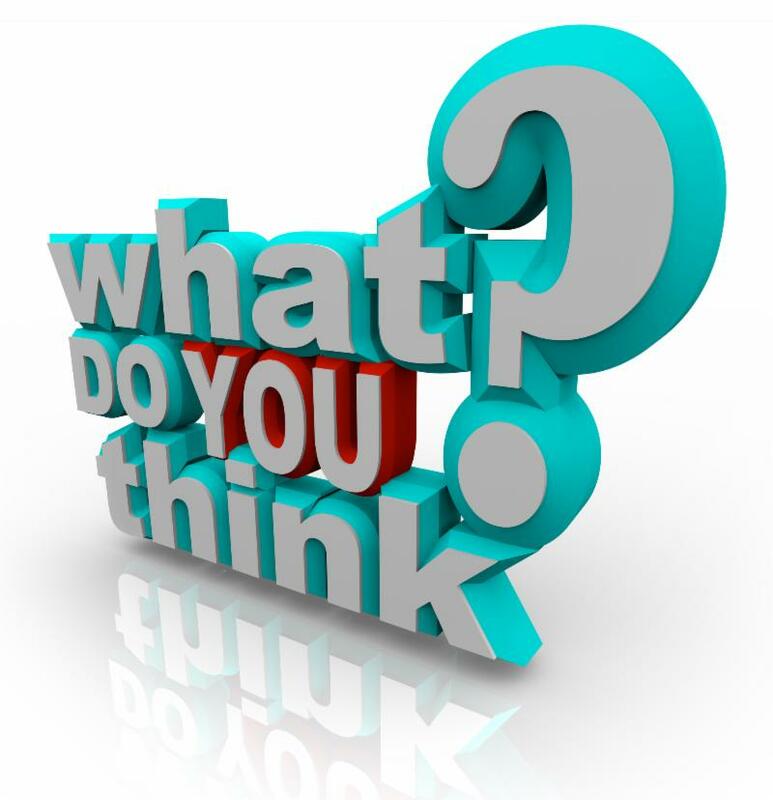 In current constrained financial environment, Dr. Pascoe believes, any ideas and solutions on improving teaching methods and implementing better program development to benefit students, are very important to everyone. Writing Across the Institutions Sub-Committee is a good example, in his opinion, of a shared platform that benefits everyone and brings very positive results on a daily basis. 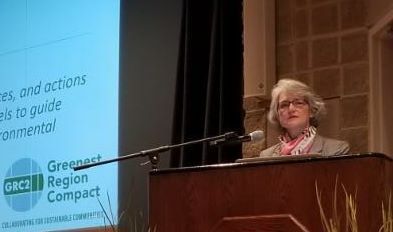 The Will County Regional Sustainability Network, a SMHEC Link and Leverage Initiative, is meeting regularly to plan and host events in the Will County Region. 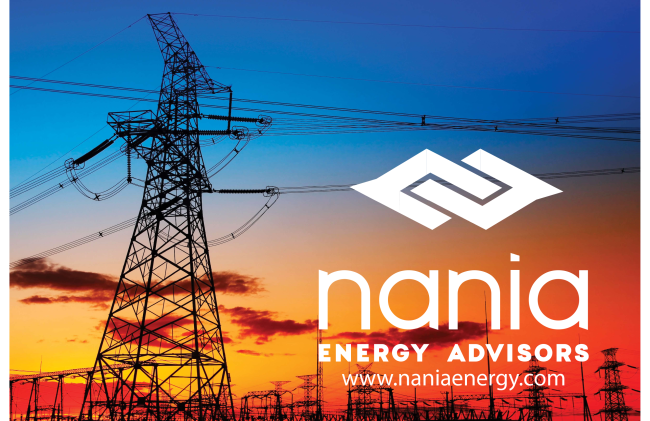 On March 20, A Clean Energy Future: The energy transition is now! 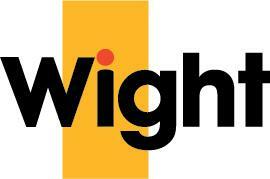 hosted an educational networking event for attendees to learn about current initiatives in the Will County region. 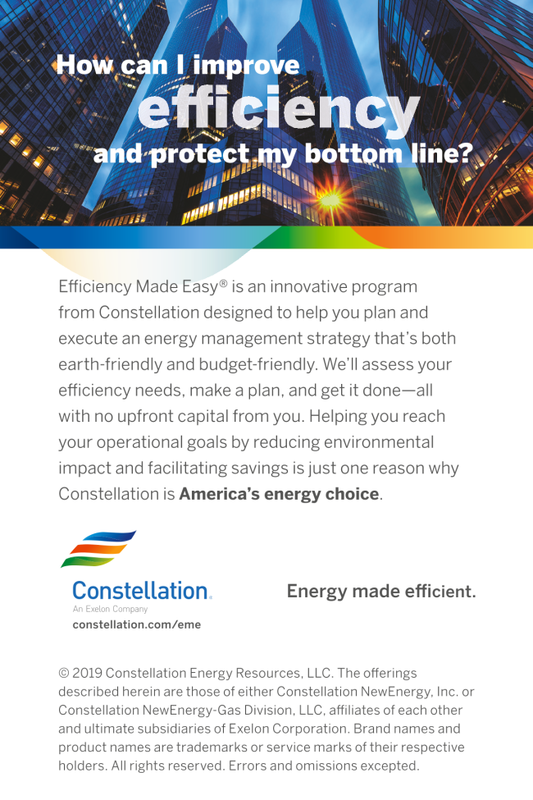 Att endees discovered what school districts, universities, private companies and local governments are doing to make the transition to a clean energy future. 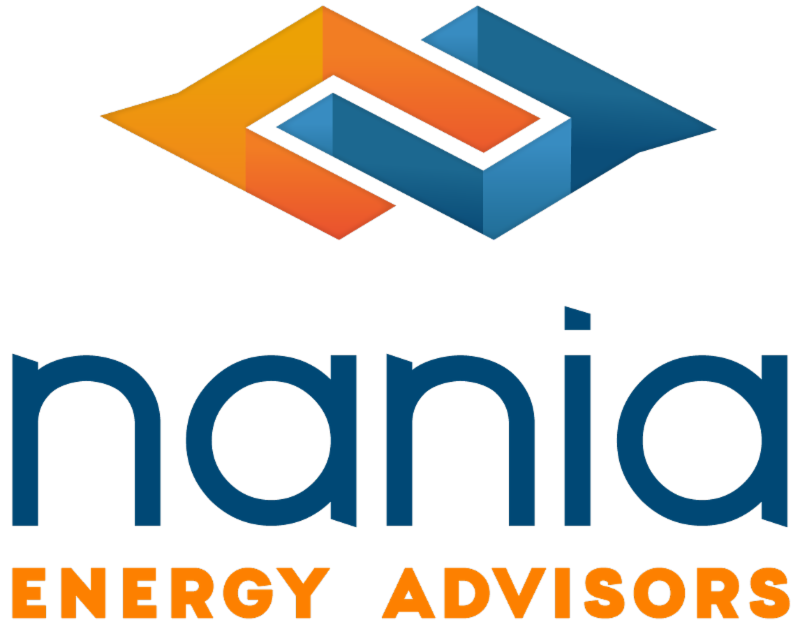 The topics covered energy conservation, electric vehicles, renewable energy, and a systematic approach to reducing our carbon footprint. 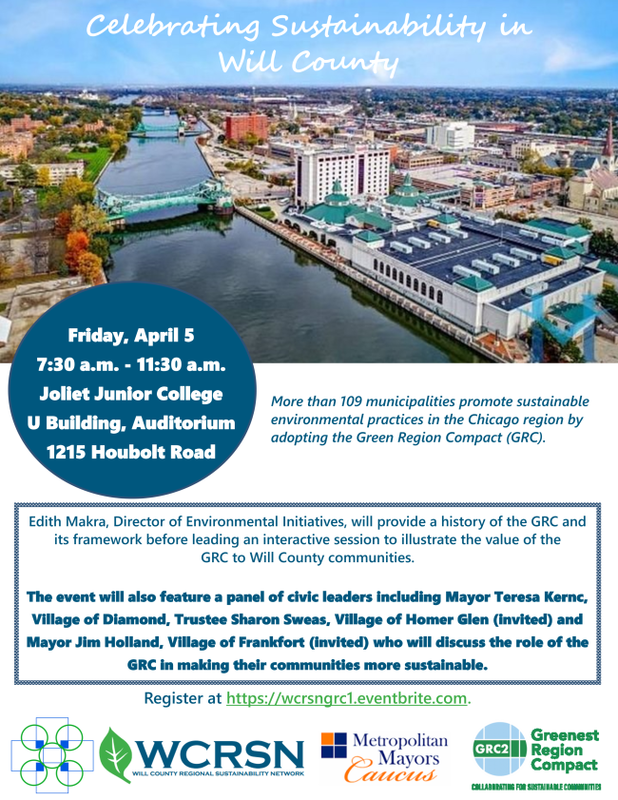 The next event, The Greenest Region Compact: Stories in Will County, will be hosted by Joliet Junior College on April 5, in partnership with the Metropolitan Mayors Caucus. 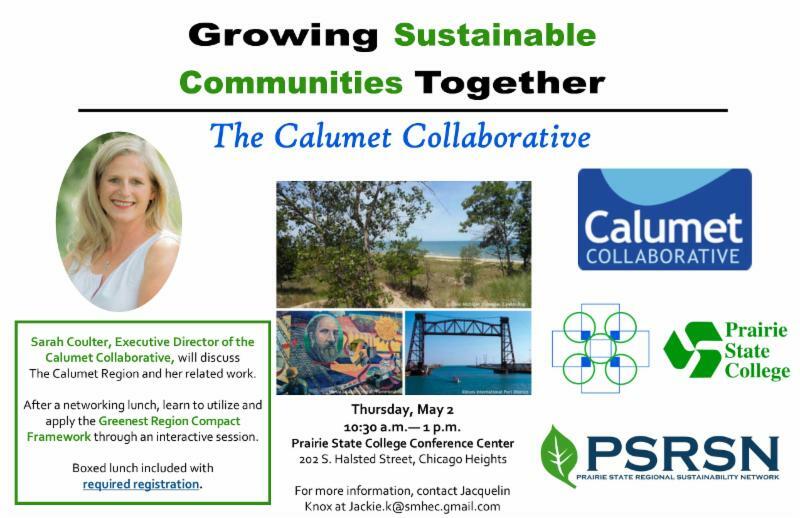 This event will highlight the communities in Will County that have adopted the Greenest Region Compact (GRC) and encourage others to do the same. This event is free to attend, but advance registration is required. 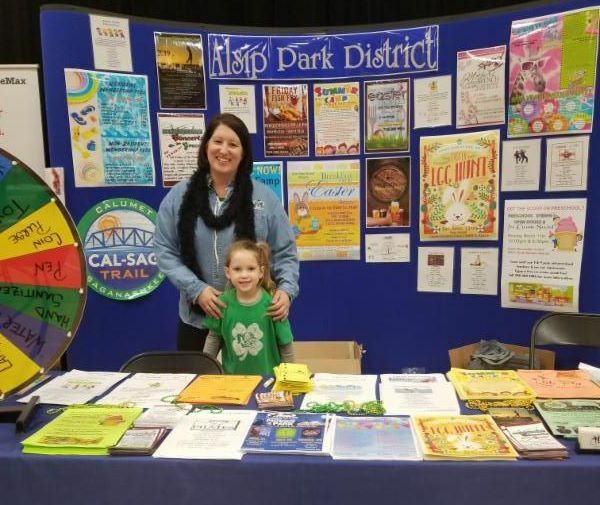 In partnership with the Alsip Chamber of Commerce, the Alsip Link and Leverage group hosted a Craft Fair and Recycling event took place at Prairie Junior High on Saturday, March 9. Over 30 vendors and exhibitors were present, including Kai’s Cookies and Health on Earth. Crafters were selling items such as jewelry, homemade treats, and clothes. 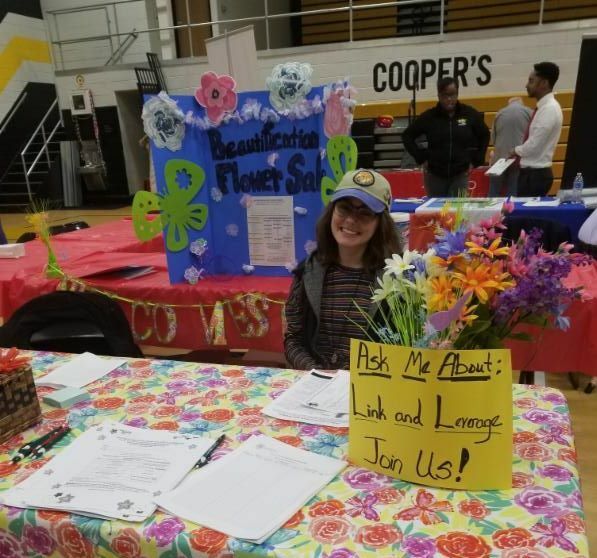 SMHEC’s very own AmeriCorps volunteer, Jacquelin Knox, works closely on the Link and Leverage Initiative for the Alsip region and could be found volunteering at the event with Becky Smith’s Beautification Committee booth. AmVets, Shred Authority, and EverLights helped make recycling possible at this event. ﻿23 Televisions were dropped off for recycling and raised a total of $413 dollars. The event also filled an entire dump truck with small electronics to be taken to Shred Authority for recycling. Am-Vets collected clothing items and there was consistent traffic for paper shredding on site. 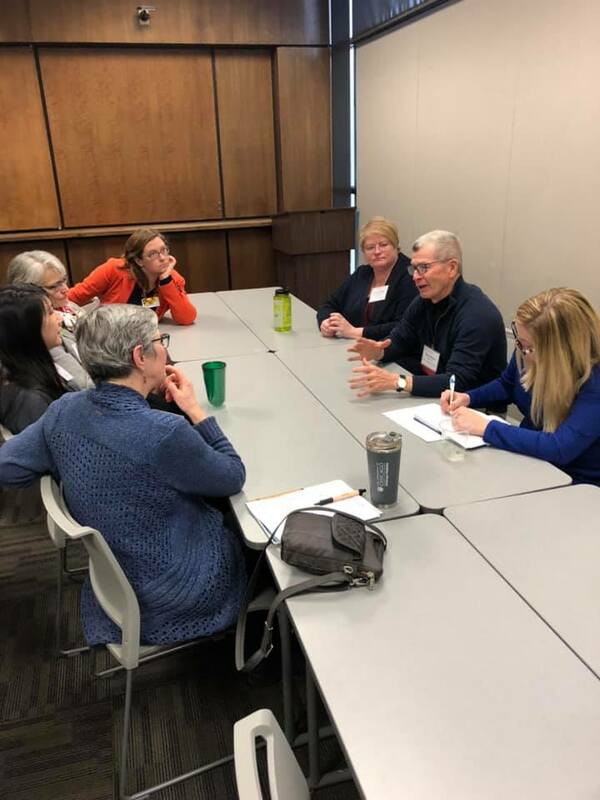 The Writing Across the Institutions (WAI) sub-committee hosted their second workshop of the 2018-19 academic year, “Other Englishes,” at Governors State University on March 1. Fourteen faculty members participated in this workshop. 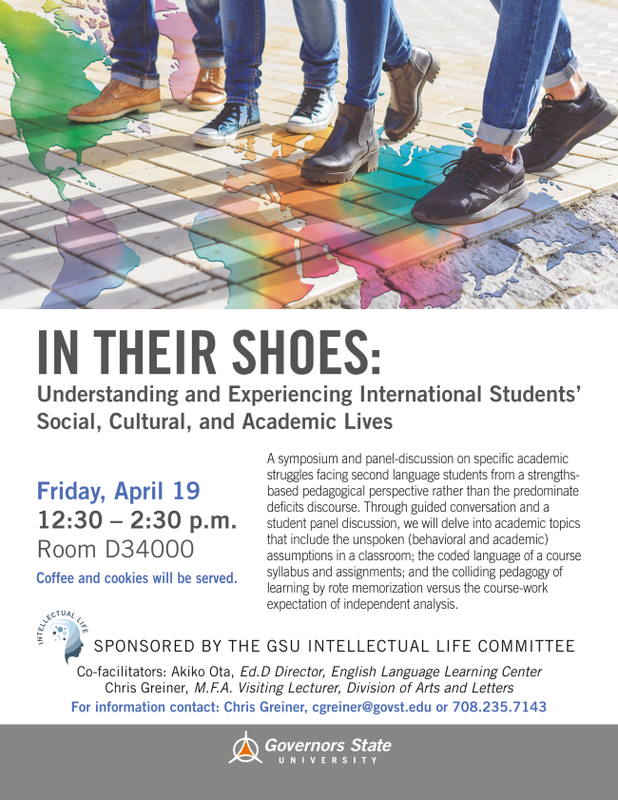 This session featured Akiko Ota, PhD, Chris Greiner, MFA, and Rashidah Jaami` Muhammad, Ph.D. who spoke about the academic struggles facing international and second language students in the context of academic writing. The presentations were well received and resulted in an engaging and thoughtful conversation. The Crisis Management Committee completed its annual Mutual Aid Test in February. 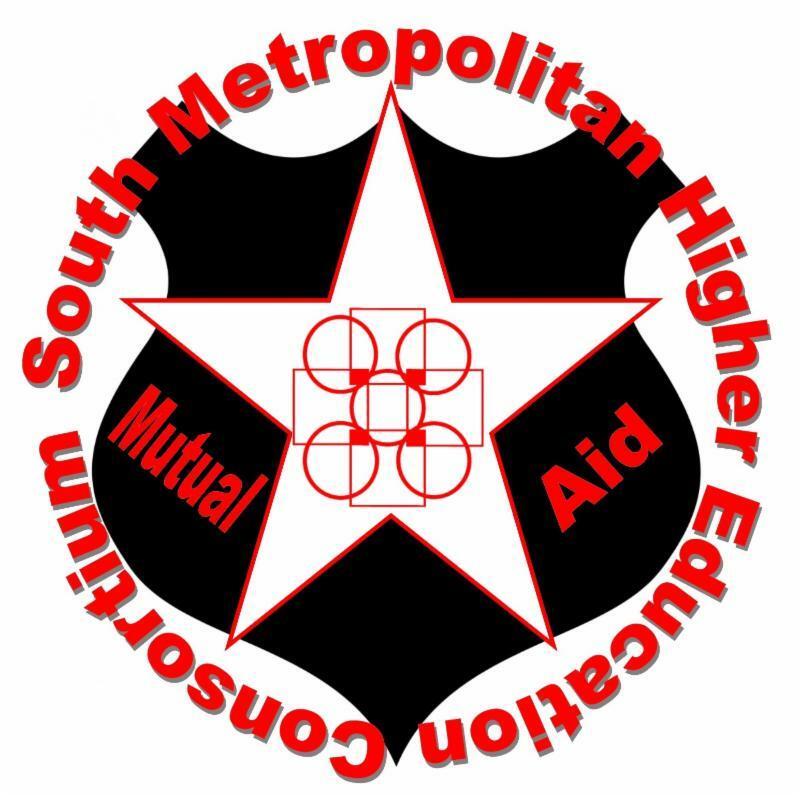 The Mutual Aid Test took place over three days to allow each dispatch center (Joliet Junior College, Moraine Valley Community College, and Saint Xavier University) an opportunity to complete the drill. The 2019 scenario involved a gas explosion two weeks prior to mid-terms and required a variety of resources to be requested. Resources requested included space; staff from IT, police, counselors, maintenance; and food service. This was the first year in which everything was completed electronically in real-time via Google. Overall, the tests were successful with only minor setbacks reported.